Now You Seesaw, Now You Don't. Very few objects say “tort law” more than the municipal yellow warning sign. Hidden driveway. Deaf children. Icy bridge. These words are familiar to drivers, but perhaps not as much as the monochromatic illustrations that we associate with them. Our yellow warning signs are iconic and change little over time, but in one particular case, they show an activity that has been rendered obsolete due to tort law. I’m speaking of the sign that warns of a playground ahead, a sign that generally shows two children on a seesaw. The seesaw used to be a playground staple, a board evenly balanced on a fulcrum that allows two children to alternate soaring and crashing to the ground. It’s remarkable that I feel the need to explain what a seesaw is, but the fact is that seesaws have utterly vanished from the American landscape. By some accounts, between 2000 and 2004, the number of seesaws in American playgrounds fell by 80%. That is an extraordinary decline for something so associated with playgrounds that the United States Department of Transportation still mandates that playground warning signs feature a seesaw. 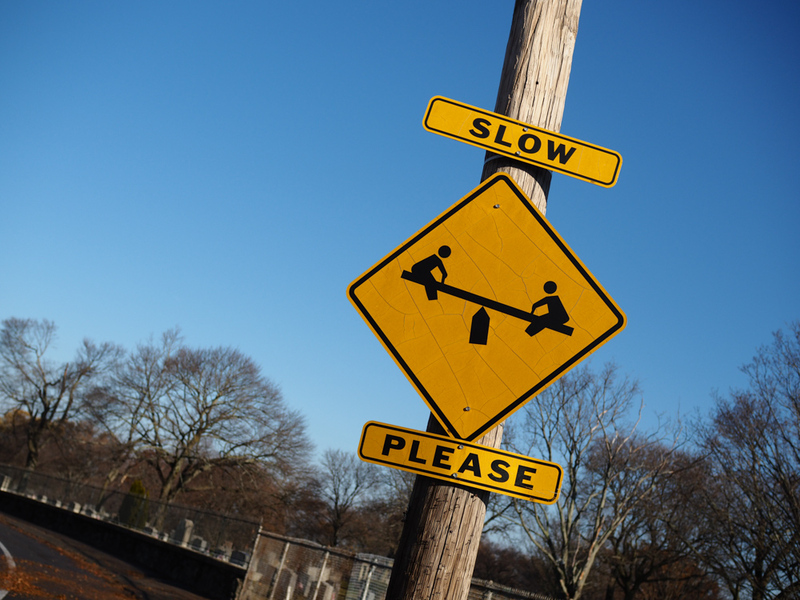 The decline almost certainly has to do with questions about the safety of seesaws. Those of us old enough to have used them as children all know the uncertain feeling of trying to get off a seesaw. And perhaps when we used them, we were drawn to the slight hint of danger. And surely there were plenty of seesaw injuries. But there are plenty of very dangerous things on a playground, like monkey bars and swings, and while they have also started to disappear, it hasn’t been to the same extent as the seesaw. The year 1981 seems to represent the beginning of the end of the seesaw and other traditional playground equipment. In that year, the U.S. Consumer Product Safety Commission published its first version of the Public Playground Safety Handbook in response to rising awareness of serious playground-related injuries. While not a series of mandates, the handbook created a de facto national standard for playground equipment safety, arming plaintiffs with strong evidence against municipalities that did not conform to these standards. Plenty of folks will see this decline as a sign of America’s infatuation with litigation. We have seen a similar decline, for example, in municipal snow sledding because towns are afraid of being sued for injuries. For example, the city of Boone, Iowa paid $12 million in 2011 to the victim of a sledding accident. For every town that is successfully sued for millions of dollars for a sledding injury, dozens or hundreds likely decide that it isn’t worth the legal risk. But we probably lose something when we take these experiences away from children. For example, seesaws reportedly can significantly improve a child’s balance and strength. Perhaps more importantly, the seesaw is an extraordinarily collaborative toy. It literally will not work without the equal participation of two children. 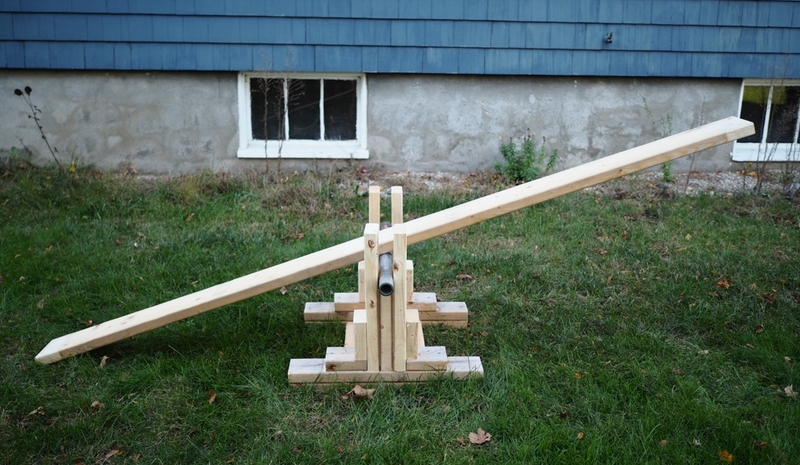 And I think that collaboration is a vitally important lesson, so I recently decided to build a seesaw for my own kids. Of course, right off the bat one of them fell off. But he got right back up and they figured out how to make it work. Given that towns everywhere have removed seesaws, am I negligent in building one for my children? Probably not, given the fairly wide latitude tort law allows parents to raise their children as they see fit. But the story might be different if another child were to come to my house and use the seesaw, either as a guest or as a trespasser. In fact, the seesaw in my backyard might even constitute an attractive nuisance, drawing children towards this theoretically dangerous item. It’s a risk I’m willing to take, because I really do think that the benefits of cooperation and balance are worth it. And I think it’s not a bad thing for a kid to learn to fall and get up.